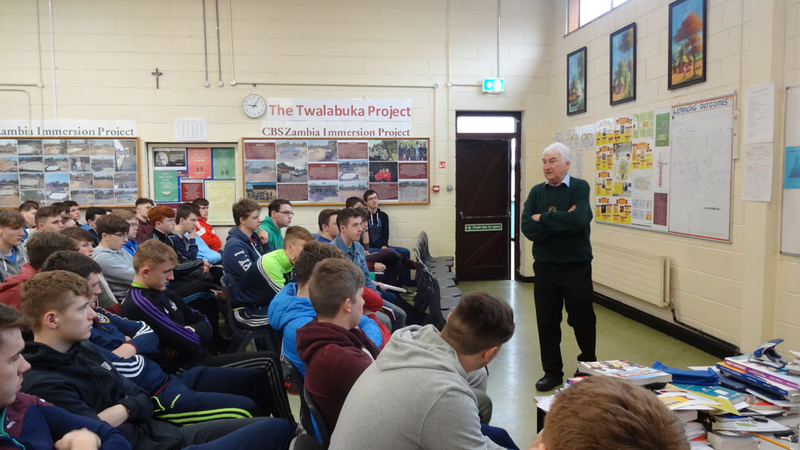 Mr. John O’Shea former CEO of Goal spoke to 5th and 6th year CBS, Kilkenny students on the value of Social Entrepreneurship. How wonderful for our well-being and mental health it is to give to others. To be driven and passionate to give to others in need is our greatest possibility. 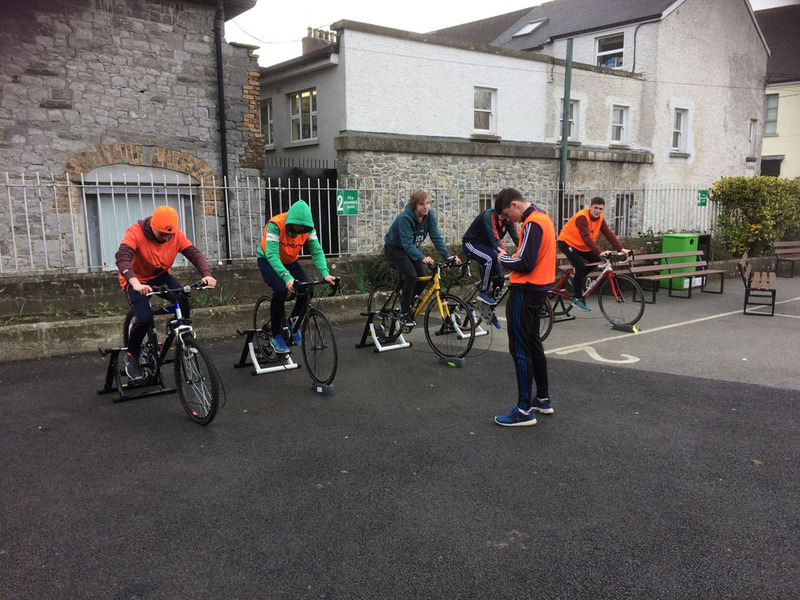 On Wednesday January 18 2017, a group of CBS students attended the Cycle Against Suicide Congress in University of Limerick. 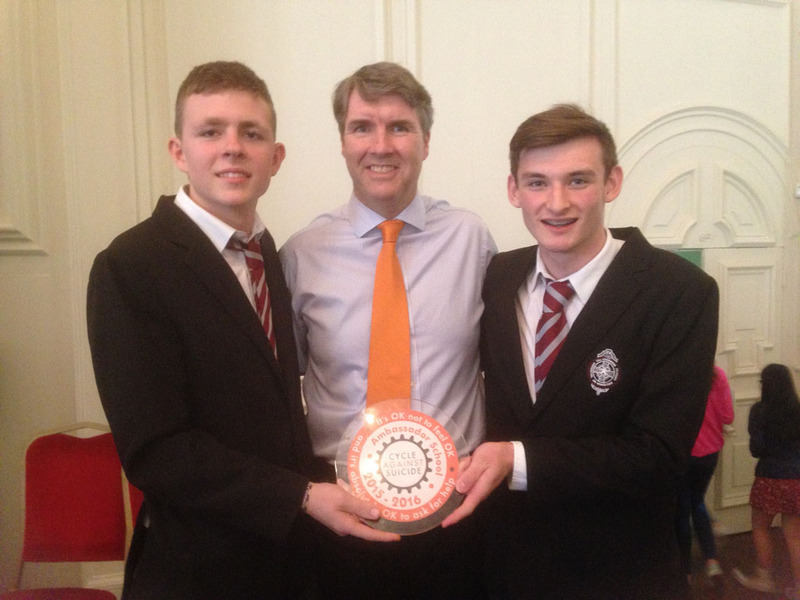 While there, they met former CBS Student Craig Byrne who is a Student Ambassador for CAS. 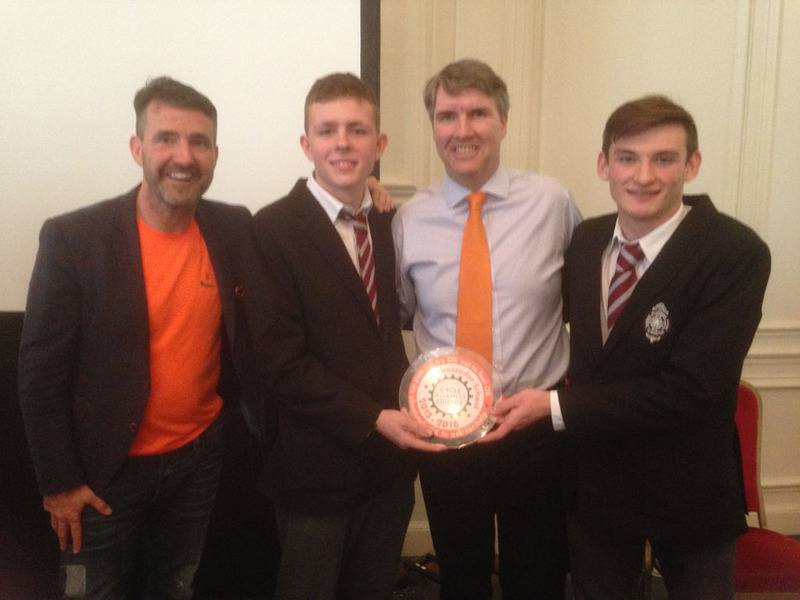 Mr. Jim Breen and Mr. Niall Muldoon with CBS students Killian Bourke and Luke Kinchella as CBS receive their 2nd Cycle Against Suicide Ambassador Award. 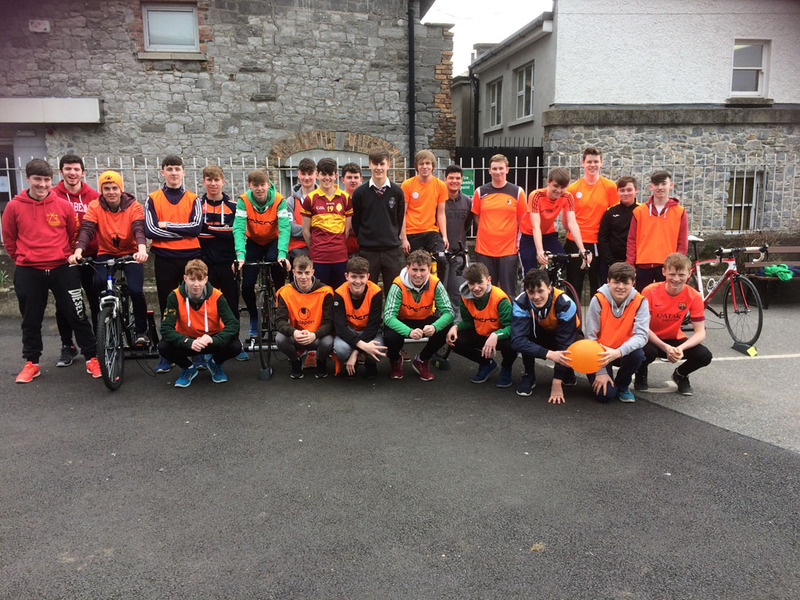 The annual Cycle Against Suicide Student Leader Ambassadors’ Retreat took place in Kippure Estate, Co. Wicklow on Thursday and Friday, August 18th and 19th, 2016. The Retreat, now in its third year, recognises students for their exceptional contribution to the area of mental health. The aim of the Student Leader Ambassador Programme is to harness the immense leadership potential of these young adults, and empower them to bring the Cycle Against Suicide message, “It’s OK not to feel OK; and it’s absolutely OK to ask for help”, back to their schools and communities. The Student Leaders actively participate in all Cycle Against Suicide activities throughout the year. 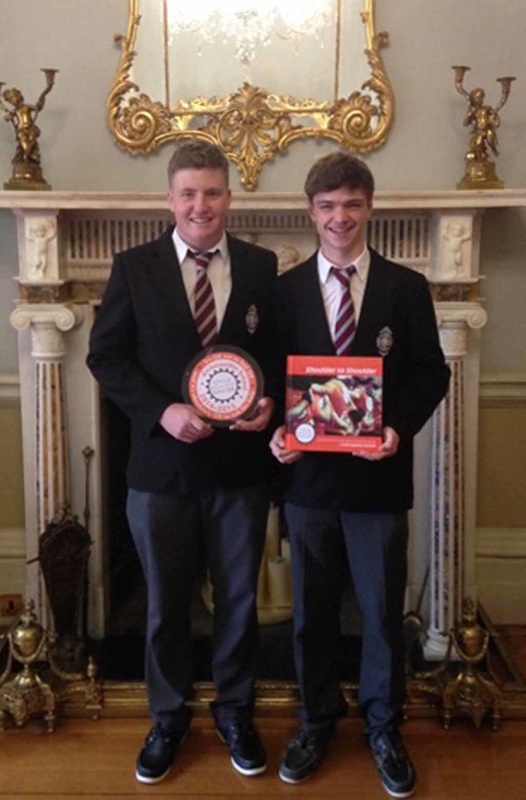 Among the group of exceptional students, nominated by their schools and selected from hundreds of applicants, was Craig Byrne of Kilkenny. 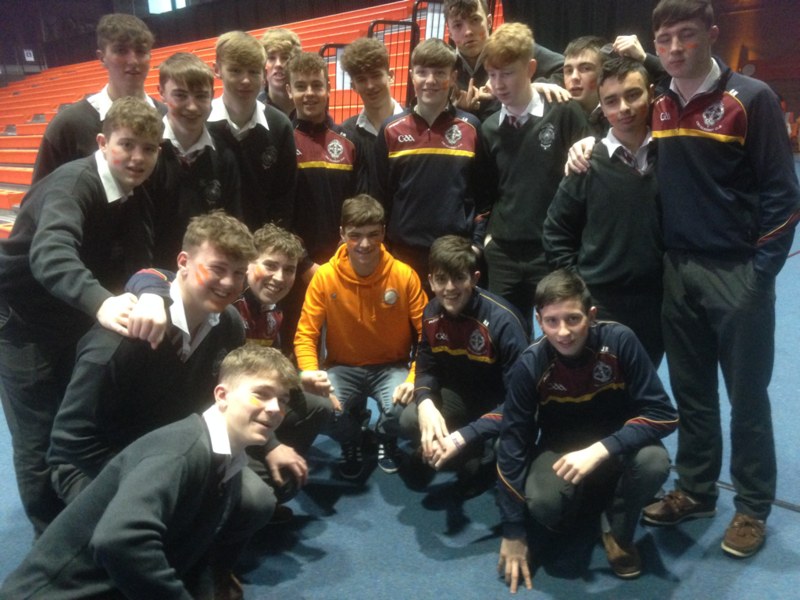 Craig and his fellow Student Leader Ambassadors from all over the island of Ireland gathered to participate in the wide range of workshops, including Media Skills, Outdoor Pursuits, Team Building, Presentation Skills and Leadership Training. As well as participating in workshops and presentations, students also collaborated to develop a theme for this year's Student Leaders' Congress, which will take place in University of Limerick on January 19th, 2017. Link Teacher Lucy Ryan said, 'It is a huge honour for CBS to have a student selected for such a prestigious and worthwhile programme at a national level. We are immensely proud of Craig’s achievement’. 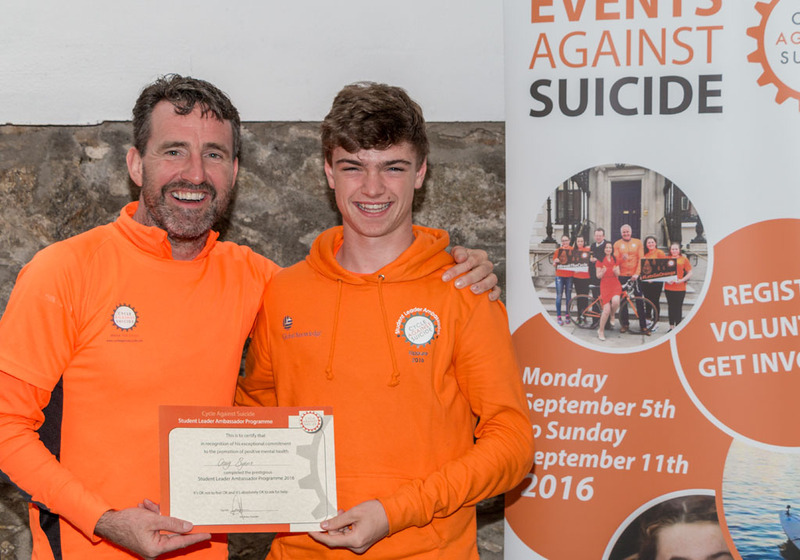 Among the inspiring guests presenting at this year's Retreat were Jim Breen, Founder of Cycle Against Suicide, and Ombudsman for Children, Niall Muldoon. 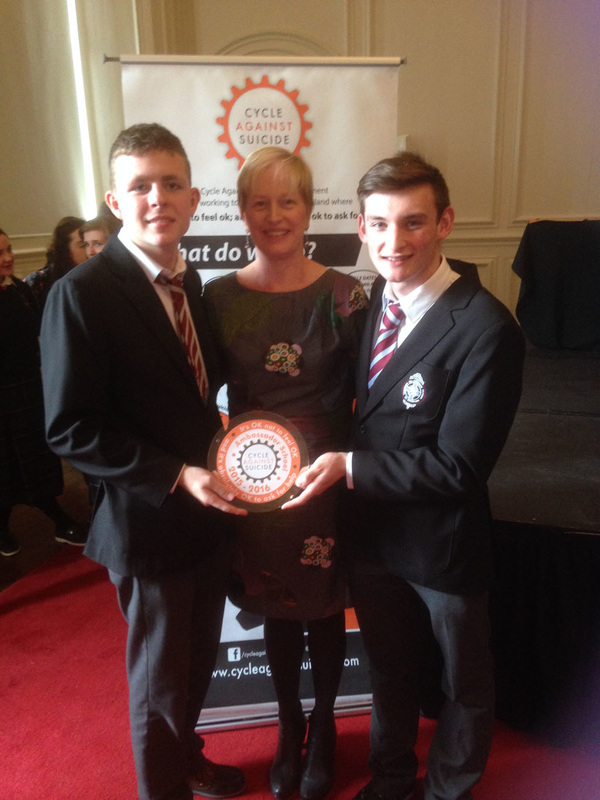 Sixth Year students Kevin Rowe and Craig Byrne represented CBS on Friday Sept 11th 2015, when they accepted the Cycle Against Suicide Ambassador Award on behalf of the whole school community for promoting positive mental health and well-being throughout the school over the past year. 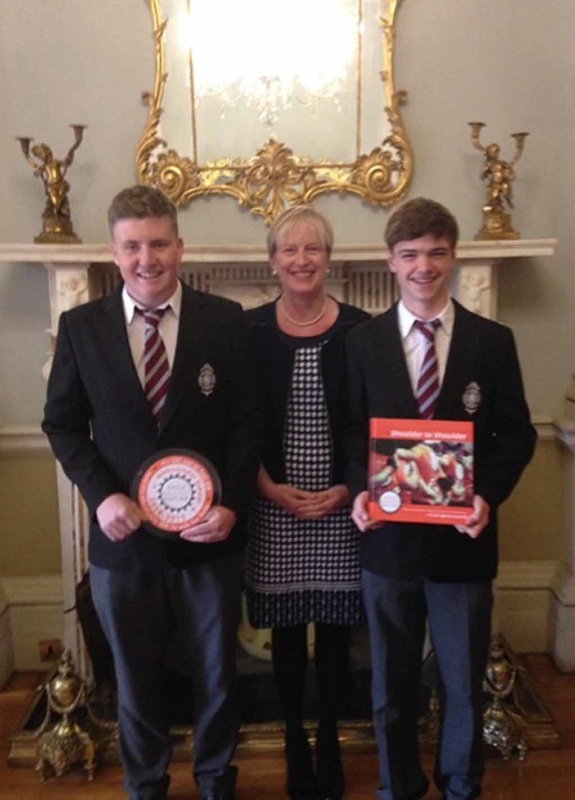 They were presented with the award by Mr Jim Breen in Farmleigh House. 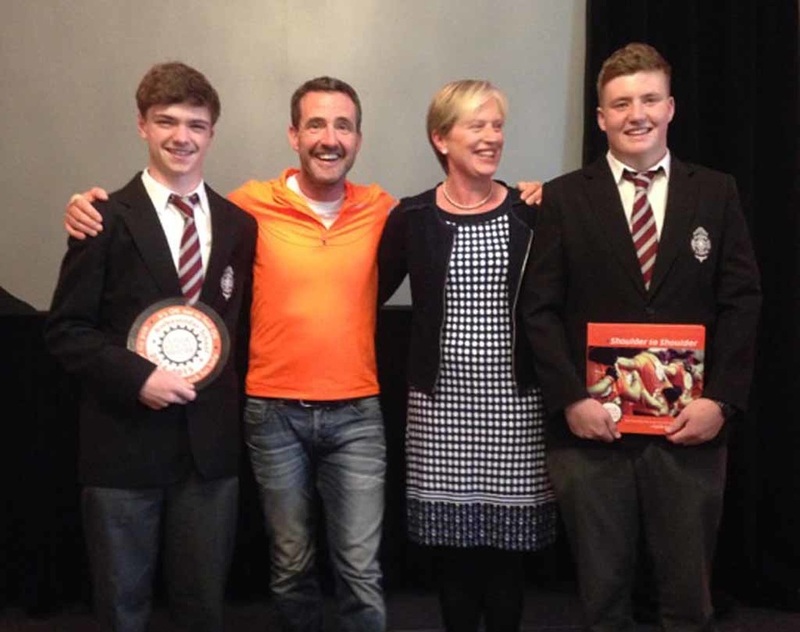 Mr. Jim Breen lead the fabulous events in the school in 2014 when CBS was an anchor school for the Cycle as it came through Kilkenny. 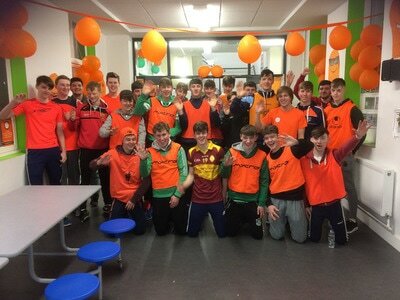 Many thanks to Ms Ryan who coordinated the CAS initiative in CBS Kilkenny. 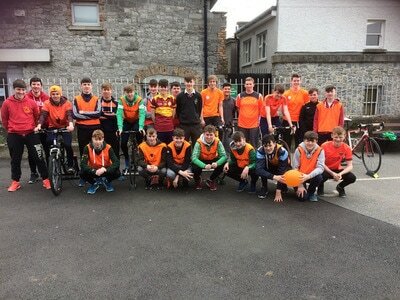 There was great excitement in CBS Kilkenny on Tues 29th April, 2014 as hundreds of cyclists from the Cycle Against Suicide initiative stopped off at CBS for much needed sustenance and rest. They arrived to a rapturous welcome from the school community and spent several hours in the school delivering a terrific message regarding mental health and wellbeing for young people. The school community was delighted with the visit and enjoyed wonderful music, sunshine, craic, chat and fun at what was a terrific spectacle. Mayor Martin Brett and Principal Tom Clarke warmly welcomed the visitors. 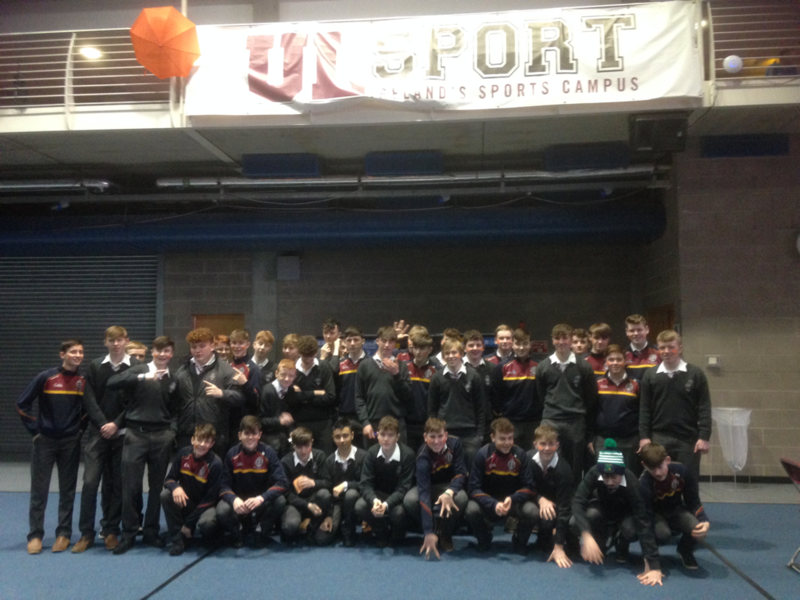 Many thanks to Ms. Ryan for undertaking and masterminding the event in CBS. Enjoy the photos below. Many thanks to Ben Thomson TY and Ben Tynan TY for capturing the atmosphere so well. 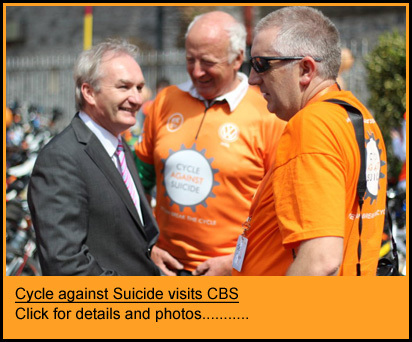 Also, see facebook for cycleagainstsuicide photos here.